What about reading some manual? 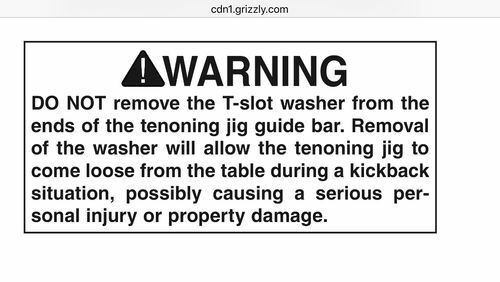 Grizzly specifically in bold text warns against removing T-slot washers from the jig. Page 14. Take the washer off and use reasonable care, I have one of the same somewhat crappy jigs with another brand label. My advice right off is to look over the jig carefully and do what needs to be done to make it work smoothly, they are usually stiff and rough working when new.